President Muhammadu Buhari will leave Abuja on Monday, September 4, 2017 for a trip to Washington, DC, Sahara Reporters say. Mr. Buhari's trip to the US is at the invitation of President Donald Trump, with a Nigerian Presidency source telling their correspondent that Mr. Trump extended the invitation last February, shortly after his inauguration. 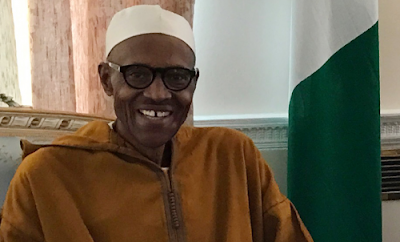 According to an itinerary seen by SaharaReporters, Mr. Buhari is scheduled to leave his hometown, Daura, by helicopter at 9:15 am on Monday for Katsina airport. From the airport, he will fly out at 10 am aboard a presidential jet to Washington, DC.